More than 500 people from think tanks, universities, governments, enterprises, and media all over the world came to attend this year's forum that will run through Monday. 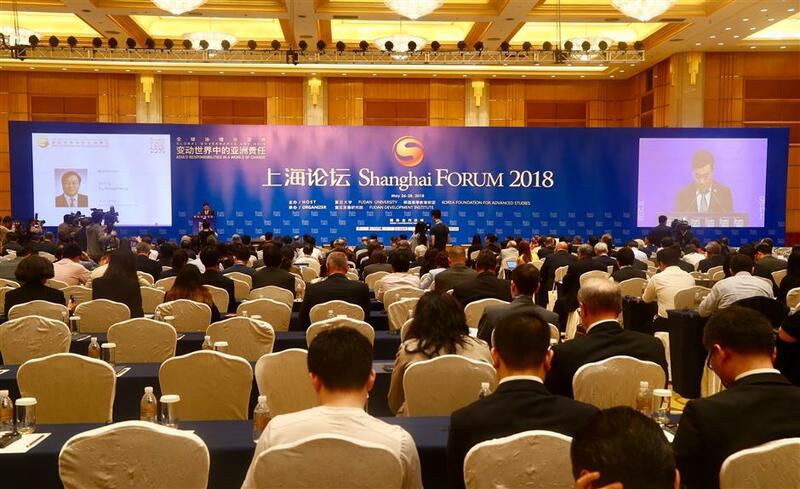 The Shanghai Forum 2018 kicks off on Saturday at Shanghai International Convention Center. Shamshad Akhtr, Under-Secretary-General of the UN and Executive Secretary of the UN Economic and Social Commission for Asia and the Pacific, said in the keynote speech that the world faces risks of fraction with a widening gap between the rich and the poor, increasing crises and disasters and other challenges. Despite the spectacular economic growth in the Asia-Pacific region, she pointed out some issues that the region needs to address in the future, such as regional stability as well as energy supply and reform. Other concerns include unequal opportunities and an ageing population, she said. 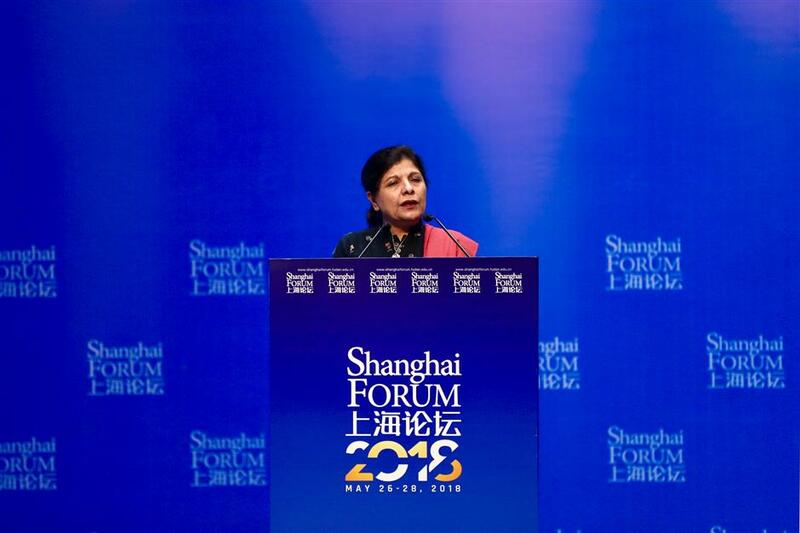 She said the Asia-Pacific region, as an increasingly important role in the world economy, needs to share more responsibility in promoting multilateral cooperation and global governance. “Globally, Asia must shoulder bigger responsibility and also have their voices heard,” she said. Shamshad Akhtr, Under-Secretary-General of the UN and Executive Secretary of the UN Economic and Social Commission for Asia and the Pacific, delivers a keynote speech. Takeo Kawamura, chairman of the Standing Committee on Budget, Member of the House of Representatives in Japan, said the friendly relationship and cooperation between China and Japan, the second- and third-largest economies, was increasingly crucial for a rapidly chaning world. He also said communication and cooperation among young people is crucial for the future of the region. He said he believes there are many areas for the two countries to work together, including sustainable development, food security, environmental governance and infrastructure construction, both in Asia and Belt and Road countries. Takeo Kawamura, chairman of the Standing Committee on Budget, Member of the House of Representatives in Japan, delivers a keynote speech. He pointed out that in 12 of 16 cases over the past 500 years, the result was war. He said the US and China could avoid such a disaster if the two sides learn from the history carefully, but they could repeat disastrous history if the two parties do not adjust their strategies of trade and diplomacy. Graham Tillett Allison, Jr., founding dean of the John F. Kennedy School of Government at Harvard University, delivers a keynote speech. 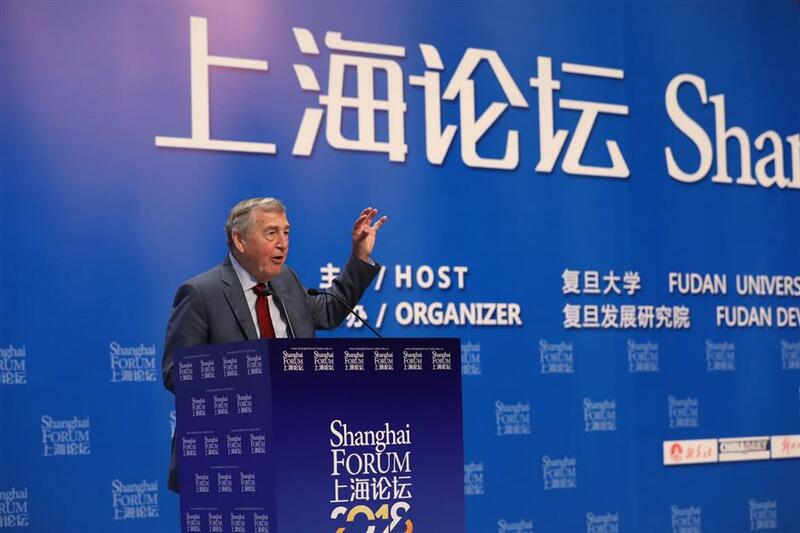 Luiz Carlos Bresser-Pereira, former finance minister of Brazil, and Wang Xinkui, president of the Shanghai WTO Affairs Consultation Center, also delivered keynote speeches at the forum’s opening ceremony. Xu Tao, director of the Department of International Cooperation and Exchanges of China’s Ministry of Education, said in his welcome remarks that the forum has been a successful model of Chinese universities acting as a think tank on global governance to connect intellectuals with decision makers and to put research results in universities into practice. More than 500 guests and representatives from think tanks, universities, governments, enterprises, and media all over the world came to attend this year’s forum that will run through Monday. It has six panels, namely “Global Governance,” “Environmental Governance,” “Public Security,” “Social Governance,” “Scientific and Technological Innovation” and “Culture and Civilization,” together with 13 round-table conferences and 14 sub-forums. 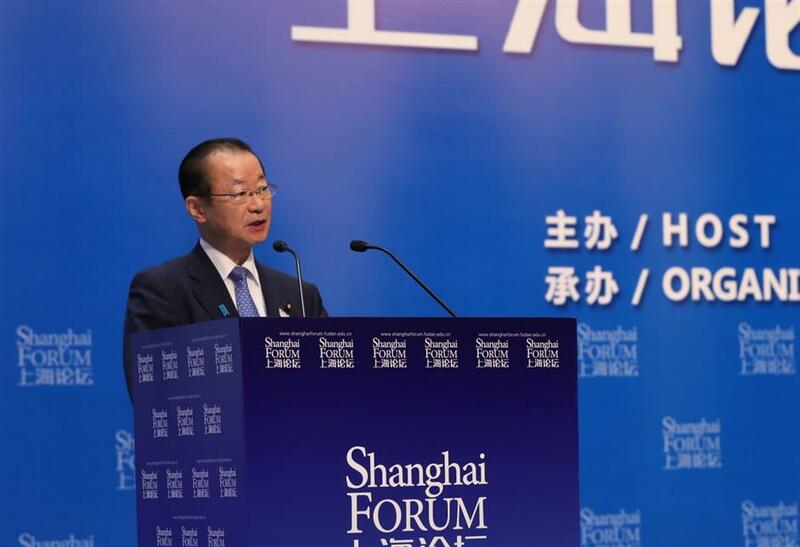 The forum touches upon issues of common concern in Asia and the world, such as major-country relationship, the Belt and Road Initiative, artificial intelligence, green governance, green financial innovation, measures to cope with the aging population, and polar governance and exploration. The annual event was inaugurated in 2005 with the aim to build a platform for communication between Chinese and foreign intellectuals from political, commercial and academic fields and to offer suggestions for regional development and national plans. Since 2005, almost 4,000 guest speakers at home and abroad have attended the forum.